“We acknowledge our city’s strong Muslim community and stand united with the community in grief and solidarity. “Auckland Council is working closely with the police and the central government to ensure public safety. Auckland Emergency Management has been activated, and our Emergency Coordination Centre is operating. “Over the weekend I met with Muslim community leaders and the police and offered them Auckland Council’s support and assistance. This morning I did the same at the Zayed College for Girls in Mangere. “Auckland has come together to support our Muslim community. 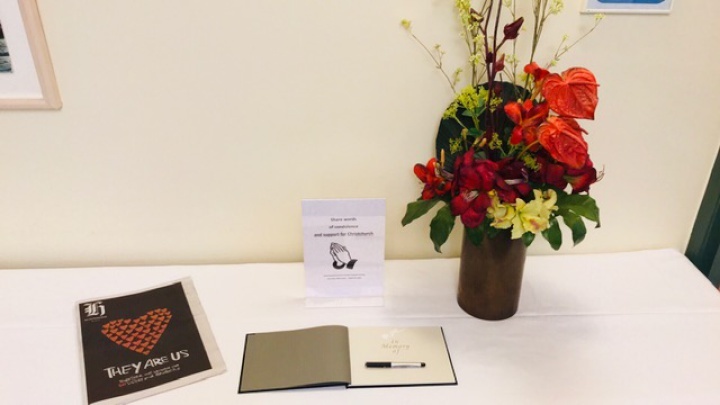 The council has also made available condolence books in various locations around Auckland to give Aucklanders the opportunity to express their messages of support for the victims, their families and their community. “Auckland and New Zealand are places of peace,” says Mayor Goff. 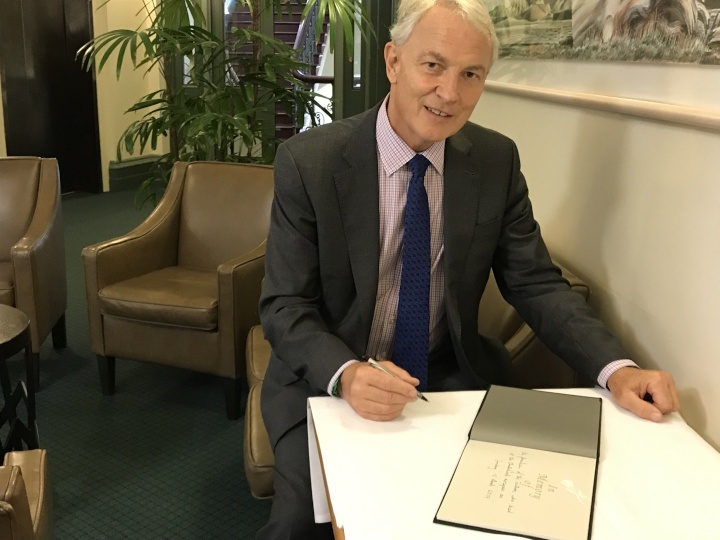 Auckland Mayor Phil Goff signs a condolence book for communities affected by the Christchurch shootings. Auckland Council is working to support its staff following Friday’s tragic shootings in Christchurch. Staff from across the council and council-controlled organisations will hold one-minute’s silence ceremonies, waiata meetings and prayer meetings throughout the week. • Te Puke o Tara Community Centre, 20 Newbury Street, Ōtara. A condolence book has been set up in the Auckland Town Hall for people to provide messages of support. Other condolence books have been set up at community centres around the region. St-Matthew-in-the-City is hosting a vigil on Monday March 18 from 5pm to 8pm. More information will be advertised in the coming days. Auckland Council and the Muslim Staff Network are advising staff who want to make donations to support victims of the tragedy to contribute to fundraising pages at LaunchGood and Givealittle. Christchurch Mayor Lianne Dalziel has also launched a fund “Our People, Our City” to raise money to support the families and Muslim communities affected by the tragedy.